Tiger Creek Lodge has had an exemplary record of serving guests since it first opened its doors. 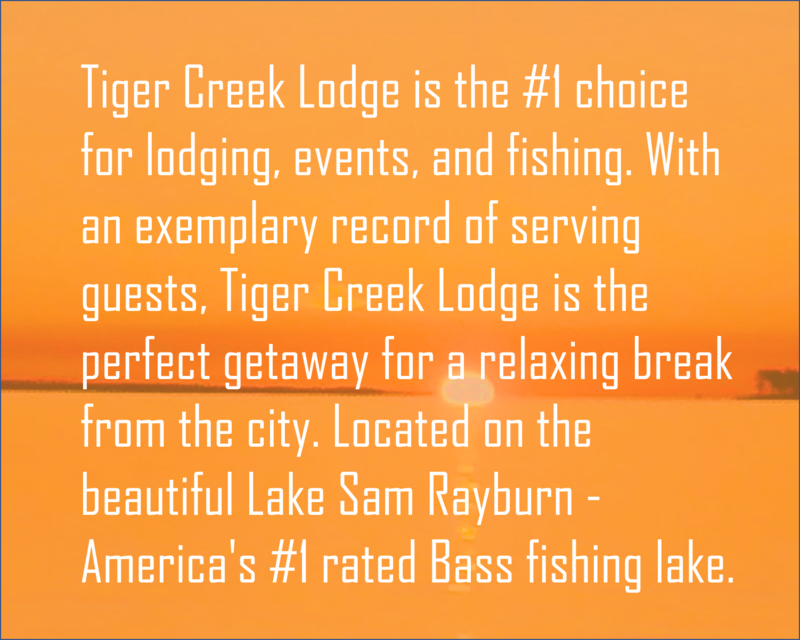 Located on the beautiful Lake Sam Rayburn – America’s #1 rated Bass fishing lake – Tiger Creek Lodge is the perfect spot for a relaxing break from the city. Book now for an unforgettable experience!